In order to invest, you must earn enough that you can meet your living expenses and still save money at the end of each month. One of the biggest complaints I hear from new investors is that they are simply unable to come up with extra cash. That got me thinking. Have you ever wondered what is considered wealthy? How about where you and your family fall in total household income? Today, we’re going to be looking at the research of Leonard Beeghley and examining class levels in the United States. By finding out where you are in the spectrum of household income and class, you can better determine if your inability to invest really is due to a lack of income or whether you don’t have a handle on your finances when compared to your neighbors. Before we begin talking about class in the United States, we need to discuss the purpose of investing.To illustrate my point: Imagine the case of two men, Greg and John. Greg is a medical doctor and earns approximately $300,000 per year. He has to show up to work regularly, using the rare skills he’s acquired through a very expensive medical school education and years of on-the-job training. If he dies or goes into a coma, his family will receive little or no income because he’s unable to work. John, on the other hand, owns a $3,000,000 limited service hotel that generates $300,000 per year for him. Building up your assets so that they are large enough to produce meaningful income is the challenging part; if it were easy, everyone would have already done it. That’s why the power of compounding is so important. Coming up with a large chunk of money at once is overwhelming. But you’ve already learned that $1 can grow into a substantial amount over time. Consider that at 10% growth, a $10,000 investment would compound to to $25,937, $67,275, $174,494, and $452,593, respectively, over 10, 20, 30, and 40 years. If you’re smart enough to make the investment in your twenties and hold on until your seventies, that one stake would grow to nearly $1,173,910. 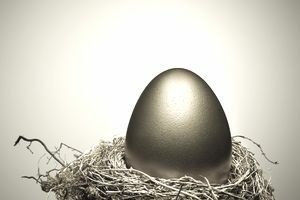 If you were able to save $10,000 per year, at a 10% rate of return, you’d have $11,639,085 when you reach your seventies (that may sound like a tall order, but if you make more than $50,000 per year, it’s possible). That’s enough money to generate income of between $400,000 and $600,000 annually without ever touching your principal, plus leave a huge estate for your children, grandchildren, or favorite non-profit. What Constitutes a Household When Calculating Household Income in the United States? Household income is based on people living under the same roof. If you are single, your household income will include only your income. If you are married and both you and your spouse work, the household income will include both incomes. With that said, let’s look at Leonard Beeghley’s research on household income in the United States and break it down according to class. Once you've examined the chart (you may want to print it for easy reference as you go read the rest of the article), I'm going to walk you through each class and explain what you may want to be doing to help build your wealth. The Super-Rich (est. 0.9%) Multi-millionaires whose incomes commonly exceed $350,000; includes celebrities and powerful executives/politicians. Ivy League education common. The Rich (est. 5%) Households with net worth of $1 million or more; largely in the form of home equity. Generally, have college degrees. Middle Class (Majority; est. 46%) College educated workers with incomes considerably above-average incomes and compensation; a man making $57,000 and a woman making $40,000 may be typical. Working Class (est. 40%-45%) Blue collar workers and those whose jobs are highly routinized with low economic security; a man making $40,000 and a woman making $26,000 may be typical. High school education. The Poor (est. 12%) Those living below the poverty line with limited to no participation in the labor force; a household income of $18,000 may be typical. Some high school education. Sell a product or service: If you own the rights to a song, or a patent, or cupcakes, or software code, or real estate, you can rent, lease, or sell the asset to someone who wants to use or own it. In exchange, you get money. The scarcer your assets, the more money you can likely get for them. Looking at the chart on class in the United States, it becomes quickly apparent that those who reside toward the top either have rare skills that allow them to earn much higher annual incomes or they own rare assets, that generate large streams of cash for them to use. At some point, the more intelligent members of the super-rich class (aka the "Capitalist Class") learn to generate money from both categories. Jack Welch, by way of example, not only has hundreds of millions of dollars in stock holdings from his days running General Electric, but he is now able to command considerable speaking fees and consulting fees for his expertise. Often, the two go hand in hand. At this point, you may be wondering, "What does all of this have to do with me?". The answer is simple: If you don't have enough income to invest and build your assets, you are going to have to figure out how to either increase the value of your time (e.g., go back to school and become a nurse so you can earn more per hour than you could as a receptionist), or possess cash generating assets. The libraries of the world are filled with books and articles about men and women that figured out how to get their hands on capital to start earning dividends, interest, and royalties. They are no better than you! I've heard of people leasing with an option to buy car washes so they didn't have to come up with money for the purchase because they had terrible credit, effectively using the asset to pay off the debt. I've known of people who bought houses with little or no money down, rented them out, and effectively used the house to build equity. Likewise, there are business owners that sell their company to people and are willing to finance the purchase, letting you use the profits to pay off the debt. If you can get over your fear of rejection or failure, and do everything necessary to reduce your risk to as low as possible, you have a chance at drastically improving your standard of living and jumping into the higher brackets of household wealth in the United States. For those of who don't believe you can make $100,000 or more a year from new sources, let me ask you this: How many hours last year did you actually devote to working on or seeking out opportunities to earn passive income? If you spent any time at all, I'm going to guess it was far less than you spent watching television or working at your full-time job. Life is full of opportunities - any time you can solve someone's problem, you can get paid for it. The only thing standing in between success and your balance sheet is you. Figure out what you need to accomplish to start generating passive income and then take action today. A look at the new estate taxes and rates under the 2018 tax laws. What are the trade-offs that can impact your savings?